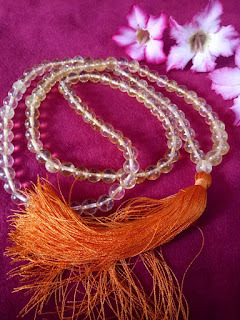 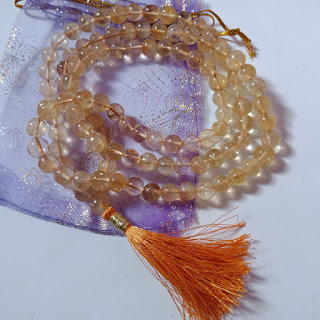 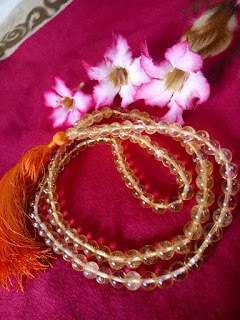 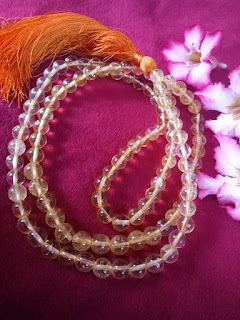 This mala contains 108 + 1, 8mm original citrine crystals strung in waxed pure cotton thread with gold and orange satin tassels attached. This crystal derived its name from the French word for lemon, which is Citron. 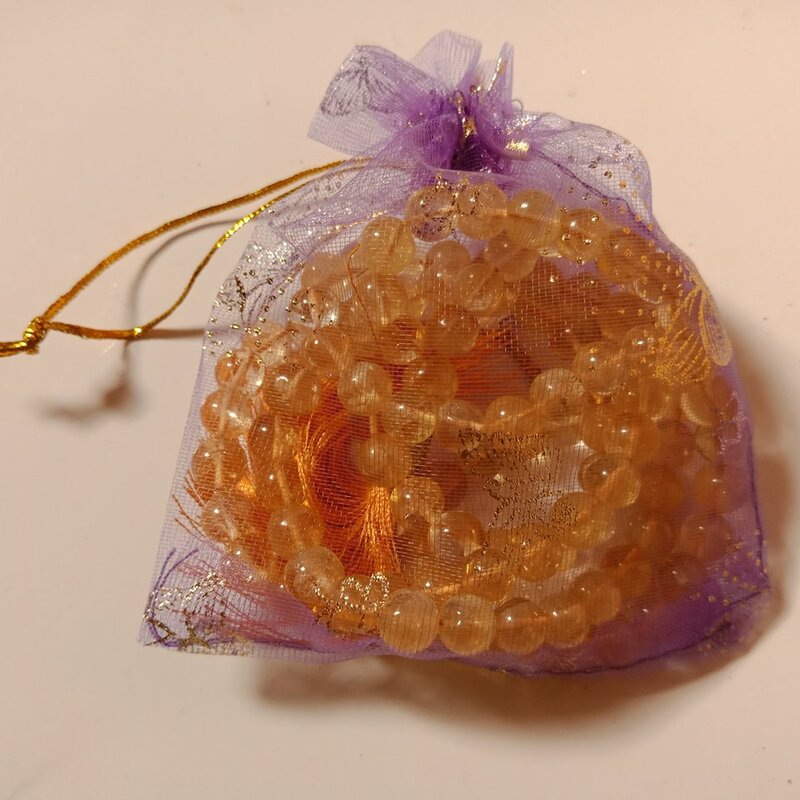 The color variation ranging from pale yellow to that of burnt amber is caused by the presence of iron in them. 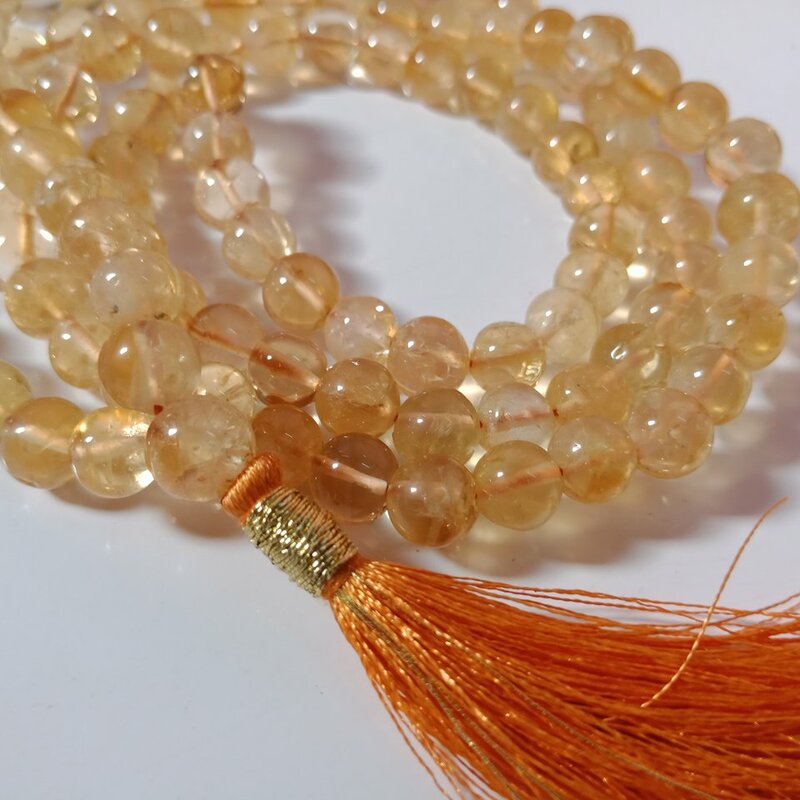 Citrine has found its way into history especially since the first century in Greece and Rome where it was often used as a talisman/protection. 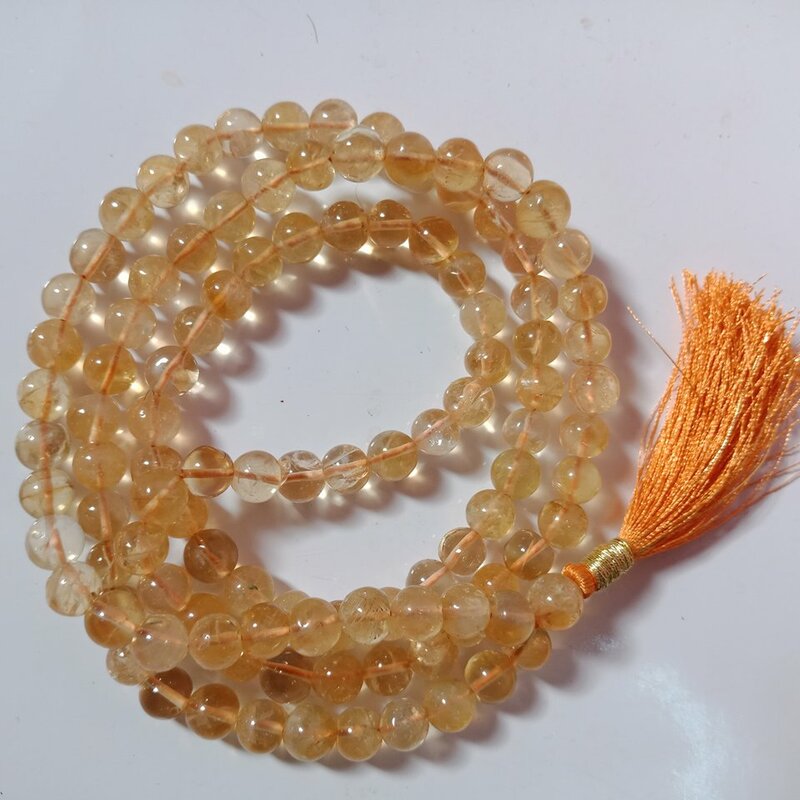 However, it soon was discovered to offer many more benefits and hence gained popularity worldwide.